BOVE WINS CAESAR: Alex Bove, in his sixth year of WBC competition, earned laurels in nine Euros competitions to claim the Caesar title by topping all players with 159 Laurels in the 2008 season. He owed his victory to persistence by scoring in every tournament genre possible save Pre-Cons, although he won only three events overall. His margin of victory was razor slim, edging Ewan McNay by a single laurel. Alex had 46 Laurels coming into WBC from his play at Euro Quest, and 25 more from Email tournaments, but still trailed several other contenders entering WBC. But Alex had a good week, winning two events (Princes of Florence and Ra) outright while placing in two more. The only question remaining is how does he look in a toga? As good as Alex's year was, it wasn't good enough to rule the BPA roost alone however, as he finished sixth in WBC statistics for 2008 Consul honors. Rounding out the top six BPA competitors for 2008 were Chris Byrd, Andy Latto, Ken Gutermuth and newcomer Riku Riekkinen in that order. Eleven of last year's Top 25 players managed to repeat in 2008, led by Bove who rose from 21st to lead the pack. Byrd, Gutermuth, Harald Henning, Eric Brosius, Kevin Sudy, James Pei, Tom Dunning, Tom Browne, reigning Caesar Raphael Lehrer and Bruce Reiff all managed to retain Top 25 status another year while14 new names graced the leader board. 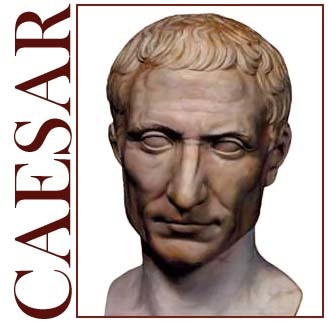 See http://www.boardgamers.org/wbc/caesar.htm for complete details. LATTO TAKES CONSUL: Take away the points for email tournaments, mini-cons, and Pre-Cons and you get a clearer picture of who had the hottest hand at WBC 2008. Andy Latto won four events outright at WBC 2008 and missed the first ever WBC Grand Slam only because one of those events—Ivanhoe—was not yet a Century event although it earned that status in 2009. That's picking some mighty small nits to deny him BPA immortality. Alex Bove, the new Caesar, had only the sixth best WBC statistically, finishing behind Harald Henning, Nick Page, Eric Brosius, and Ewan McNay also. MECAY DOMINATES WAM: The 7th Winter Activation Meeting mini-con in Timonium, MD last January was a rousing success by just about any measure. Despite the recession we drew 40 card-driven players to the pre-Super Bowl bash, down only slightly from last year. The new more structured format appeared to be an improvement over "organized chaos", and almost everyone expressed a strong desire to return next year. There were four formal tournaments with scheduled rounds plus the annual informal March Madness Tournament. Attendees were asked to enter each tournament just prior to the start of the first round and at the start of each successive round attendance was called off of that list. In between tournament games there was much open gaming including contests of Combat Commander, We the People, Hannibal, Empire of the Sun, Unhappy King Charles, Atlantic Storm and more. Stefan Mecay continued his incredible dominance of Twilight Struggle with his fifth straight tournament win and also took 1960 honors to become the new top shark in the absence of Master Pei. Thomas Drueding took POG honors while Sean McCulloch won an abbreviated Wilderness War event. (An AAR of each tournament is at http://www.boardgamers.org/specific/wam09.htm and updated laurel totals and summaries are also posted on their respective results pages at http://www.boardgamers.org/yearbook/). MEDALS LIST: The Tournament Victories page has been updated through WAM VII and is posted at http://www.boardgamers.org/medals.htm The associated Laurels list is currently being audited in connection with the BPA data base conversion and will be updated on line at a future date. The 2008 chapter summation of our Virtual History page is now on line at http://www.boardgamers.org/archive/history08.htm to commemorate WBC 2008. 25 events are currently without a GM commitment with but ten days remaining. One event's demise is another's opportunity. Events without GM commitments will be replaced by those from the Alternate list on March 1st. If you want to be considered for such a vacancy or recommended to a sponsor, submit an event form and be a current member by then. Currently endangered events include: Titan, Through the Ages, Thurn & Taxis, Stockcar Racing, Speed Circuit, Race For the Galaxy, Gangsters, Carcassonne, BattleLords, Battle Cry, Attack Sub, Agricola, Age of Empires III, Acquire, 1960, Notre Dame, Royal Palace, Yaspahan, War of 1812, Vinci, Union Pacific, Pursuit of Glory, Diplomacy, Battle Line and ASL Starter Kit. Vendors/Sponsors are likewise reminded to submit or authorize their 2009 Trial Events by Feb 28th. We also are in need of a few Juniors events and Seminar speakers. Contact acd@boardgamers.org with any suggestions for same. PBeM NEWS:	PBeM games have been a way for BPA members to keep gaming year round and to bridge geographical distances. There are now many online sites which take the next step to make gaming ever more convenient. One such website, GameTableOnline.com, features live web versions of tabletop strategy games which could make a good addition to the BPA PBeM outreach. All of the games look like the real thing, enforce the rules, and play like real world versions. Aside from a lack of wargames, there is a good variety of games ranging from Eurogames (Euphrat & Tigris), beer-n-pretzel games (Nuclear War), light war games (Axis & Allies and Battle Cry), classics (Acquire and RoboRally) and some new games (like 1960: The Making of the President. All are playable against other humans as well as AI and are currently free. All you need to do is register at their website, enter their lobby called “The Gathering Place” and from there start and join games. In addition to games played through their site, you can play “delayed” or non-live games of Acquire, Axis & Allies, and Vegas Showdown via Facebook. Essentially you take your turn, close the game, wait for your opponent to take their turn and log back in when it is your next turn. Facebook keeps track of the game state. 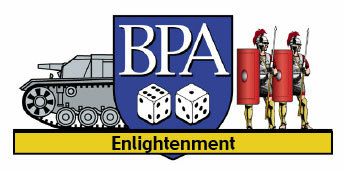 The BPA has been in contact with GTO and they welcome our use of their game site for PBeM tournaments. They currently cannot provide us with game results/data so GMs and players will have to moderate their results for BPA tournaments. So, if you've wanted email tournament play for one of your favorite games, here is yet another tool to help you bring it to fruition. Any GM volunteers out there? ADEL VERPFLICHTET: The eight games in the fifth (and final) preliminary round are now underway. Only one first-round game is still in progress (and it should finish up in the next week). Seven 1st-round, four 2nd-round, and two 3rd-round games have ended. In fact, only two players remain who haven’t finished at least one game. Kevin Wojtaszczyk, Sean McCulloch, Bob Hamel, Tom Dunning, and Greg Crowe get kudos for their lightning play—each has finished three games already! Currently, the leaders are George Seary and John Pack (winning their first two reported games) followed by Curt Collins and Sharee Pack (one win and one second). But that’s not a complete picture since Anthony Daw, Keith Layton and Chris Trimmer (one win each) have yet to finish their second game. Many others are close behind and ready to take the lead with a good exhibit, spectacular theft, or crime bust. With more games finishing each day, the standings change constantly. Get the latest details at http://www.gameaholics.com/adv_tournament.htm! VICTORY IN THE PACIFIC: The final three have become the last two. And, in keeping with the upset theme of this tournament, the highest seed was eliminated in a Japanese victory. The Final rages between Joe Dragan (15th seed) and Ed Paule (23rd seed). Ed has five straight upsets as the Imperial Japanese Navy and has taken them again for a bid of 5.5 (a bargain compared to the 6.5 he bid in an earlier round)! Joe has three IJN victories (one upset), one USN victory (an upset), and a bye. Joe is the current King-of-the-Hill on the VIP PBeM ladder. Will the Final yield another upset? The Japanese currently lead by a moderate 14 POC in a game with low carrier attrition. Catch the action at http://www.gameaholics.com/vitp_bpa/vitp_bpa_single_elim_07....! Last updated 2/23/09 by kae.